Firstly, who watches the PBS cartoon ‘Arthur’? I wonder if this cartoon is popular amongst children in London as it was in the States. On this video clip, Brain, one of the characters on ‘Arthur’, explains Asperger’s Syndrome in a really simple and nice way for both children and adults to understand. I think it would be brilliant to show teachers, classmates, family, and friends to understand why children with Asperger’s Syndrome are the way that they are. Please share with your schools, teachers, family, and friends. Secondly, you can now cast your votes for people whom you think merit the position of ‘Most Influential in the World’ for TIME magazine. 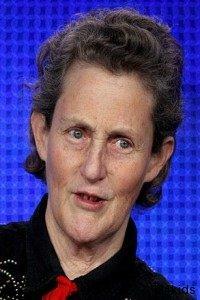 This year Temple Grandin has made it to the list along with celebrities like Lady Gaga, Beyonce, and Michelle Obama. 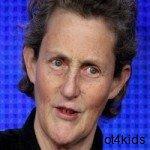 As a child, Temple Grandin was diagnosed with Autism. Her parents were told that she should be institutionalized! She has a doctorate degree and is a well respected advocate for humane treatment of livestock animals. She has also written books about Autism such as ‘Thinking in Pictures’, ‘Emergence: Labeled Autistic’, and ‘Unwritten Rules of Social Relationships.’ Temple Grandin has shed great insight into the life of a person with Autism, helping professionals, families, and the community understand them better. Here is a chance to vote for a truly inspiring person as the ‘Most Influential’. 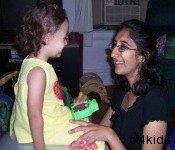 This entry was posted in Uncategorized on April 13, 2010 by munira.